Being only eight hours flight time apart, the distance between the regions of Frankfurt/Rhein-Main and the Greater Washington D.C. area, constitute an ideal partnership. Both regions have a dynamic large city center, with just as vibrant a surrounding countryside, that situate numerous headquarters for larger companies, nearby. They offer a cluster of information technology and telecommunications, by consulting firms and logistical transport companies. 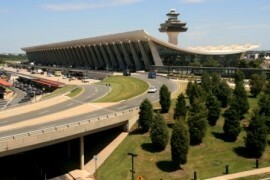 The large airports in Frankfurt/Rhein-Main and Washington's Dulles International, are of national and international importance; providing five connecting flights daily. The time zone difference of only six hours, permits overlapping of workday hours, with real time communications between business partners on both sides, easily possible. From an American viewpoint, Frankfurt/Rhein-Main area offers the most international Cooperate Community within Germany. The U.S. Consul General in Frankfurt, with more than 900 employees, along with the American Chamber of Commerce, are clear indicators of the importance of German/ American relations in this region. The excellent means of transportation, with Germany's primary Autobahns and nearby efficient bus and rail networks, makes the greater Frankfurt area an attractive location for Company Headquarters. The steadfast binds to America, are reflected in the presence of U.S. military forces being stationed here. The Wiesbaden location is being expanded to become the future European Headquarters of U.S. military forces in Europe (USAREUR-U.S. Army Europe). The Greater Washington D.C. area offers German investors, the close proximity to government institutions and the Federal decision making process, but also provides a wide spectrum of possible business partnerships in the service and information technology branches, as well as future orientated enterprises. The D.C. area, can look back upon more than 200 years of German tradition and influence. There is also a strong interest in the D.C. vicinity, in the future development of energy management, a topic in which several companies from the Frankfurt/Rhein-Main area can provide their expertise. Both regions can use such projects as a stepping stone for furthering business relationships in their respective countries. Representatives from the Frankfurt/Rhein-Main and the Main-Taunus County made significant contacts with institutions in Washington D.C. back in 2009. Several similarities between our regions were identified by the Greater Washington Initiative and Board of Trade. 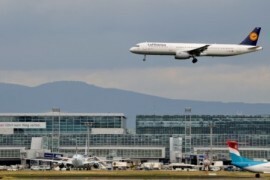 For further information about the Frankfurt/Rhein-Main area, please check www.frm-united.com and under www.greaterwashington.org.